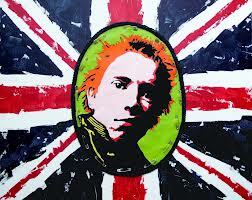 My own story of pop began with Adam Ant in the early 80s. Luckily, music journalist and founder member of Saint Etienne, Bob Stanley, goes back a bit further than that. This weighty volume comes in at just under 800 pages and is packed with all the songs, bands, personalities and pop trivia that you could wish for. Starting back at the introduction of vinyl, the charts and the music press in 1952 through the rock n roll era, the Beatles and Elvis, the rise of the album, punk and the 80s before things took a turn for the worse with rave and the descent into the throwaway download culture. Yeah Yeah Yeah is pop’s heydey; Bill Haley to Britpop – it’s a thrilling ride. What interested me was seeing how pop culture and trends changed rapidly from UK to US, West Coast to East Coast, London to Liverpool to Manchester. As much as he tugs at your memory and I swooned with nostalgia over a pictured Smash Hits cover featuring Brother Beyond, Glen Medeiros and The Pasadenas, Stanley also points to scenes and you wonder why you were not there. I wish I’d known about the Smiths and Orange Juice when my senses were being brutally assaulted by Queen, Collins, Young, Sting et al. But then I was only a primary school child at the time! I disagree with Stanley on some things; his dismissal of post-Smiths Morrissey, post-Bill Berry R.E.M, the weight he sometimes gave to credibility over popularity. Michael Jackson’s ‘Bad’ may have been a let down to him but to myself and just about everybody I grew up with, it was the pinnacle of pop. 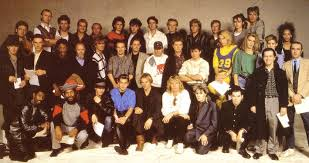 Being primary interests of mine I’d read most of the Elvis, punk and new wave stories before and I cannot lay fault at Stanley’s door for the dull chapters which prog rock (Yes, Genesis, Mike Oldfield) and fey, yelpy groups like Spandau Ballet, Duran Duran and OMD fell into. But it was a joy to realise what a year in pop 1991 was – I still have treasured 45s from those twelve months by the eclectic mix of Right Said Fred, Manic Street Preachers, Bart Simpson, KLF and Hale and Pace. Ah memories! Mario Lanza’s ‘Because You’re Mine’ in 1952 was the first ever hit single as we know it, an actual piece of seven inch vinyl. Bill Haley is rarely included in any critic’s lists of prime movers, which is sad and a little ridiculous. 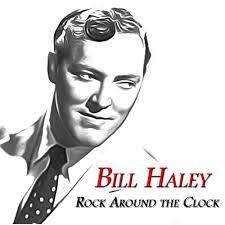 Haley invented rock ‘n’ roll…no one scored a rocking number one before ‘Rock Around the Clock’ turned the music world upside down. His heyday was brief but, truthfully, without Bill Haley the rest of this book could not have been written. The low, heavy lids, the curling lip, the pelvis. Best of all adults thought him crude, vulgar, animalistic. At a stroke, Elvis Presley had created the generation gap. The airplay that Lonnie Donegan’s ‘Rock Island Line’ received on BBC radio in 1955 inspired John Lennon, Paul McCartney and Jimmy Page to pick up guitars for the first time; it’s one of the unlikelier facts of history that a song about illegally transporting pig iron was British pop’s fountainhead. 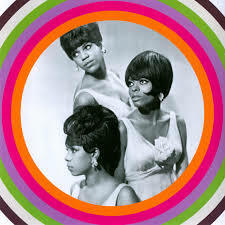 The Supremes amassed eleven US number ones in the sixties, more than anyone except the Beatles. 1966 is different. It was the first time that modern pop music had been seen as culturally and artistically significant. Anyone looking at any random Top 20 from 1966 will be able to pick out half a dozen singles that are stone, ten out of ten, copper bottomed classics. 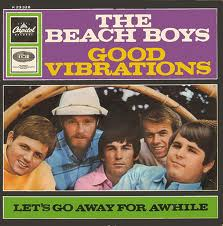 ‘Good Vibrations’ by Beach Boys was a UK and US number one in October 1966, and felt like the future…it’s a pretty faultless love song. Right here, friends, we have the pinnacle of sixties pop. Their subject matter was limited to youth, sun, girls, cars and surfing. Singles like ‘California Girls’ and ‘Surfin’ USA’ are still brought out every April at the first hint of spring sunshine. They are still exactly what you need to hear to know that winter is over. Brian Wilson during the recording of Smile: He wanted to create the feeling of ‘being healthy in the morning, paradise in the morning in Hawaii.’ So he opened a health-food shop called The Radiant Radish. He had to be talked out of opening a 24hr table tennis shop soon after. 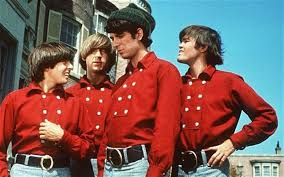 By 1967 the Monkees were getting 12million viewers on US TV and were simultaneously number one in the British and American albums and singles charts. No one had done this before. They had sold 6million albums and 5million singles in just 4 months. David Bowie lived in a spaceship, primed and ready to whisk you off to some blank alien planet where everyone was bisexual. Mud were quite at home in a greasy spoon café with a copy of the Racing Post, winking at the waitress. Both were glam even though few realised it at the time. 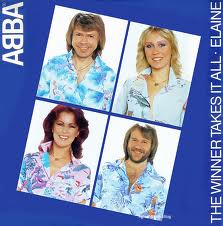 Abba: Sung by Agnetha, alone at the microphone, to her ex-husband in the control booth, ‘The Winner Takes It All’ was pure musical theatre, but frightening because it was clearly real. Everyone listening knew they were intruding on the private grief on an ex-couple. On the Eagles 1975 59 city tour of the US, some 850,000 people paid $5million to see them. Their Greatest Hits album has since sold 42million worldwide. But then came Donna Summer’s ‘I Feel Love’ which was something else entirely, the sound of now and tomorrow, still tomorrow. At one point in March 1978 the Bee Gees were behind 5 singles in the American Top 10. The Bee Gees were a cultural phenomenon…they wrote a dozen of the finest singles of the 20th century. 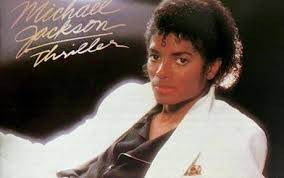 Michael Jackson’s ‘Thriller’ sold in quantities that are hard to comprehend – you could expect to see a copy in the corner of any room, in any town, in any country in the world. Later on the King of Pop’s people stated that he was now to be referred to as the King of Rock, Pop and Soul, and they sailed a hundred foot high statues of the deity down the Hudson, the Thames and the Danube to ram home the point. No ordinary pop star this. Like Elvis, there was a totality of pop to Michael Jackson – the look, the voice, the dance moves, the complete performance. 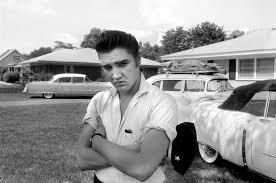 And like Elvis, he was deemed irrelevant and useless at the time of his death. 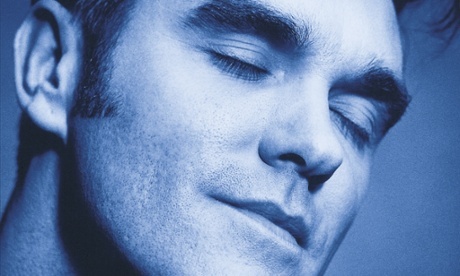 Morrissey captured the collective insecurities of anyone not buying into the wipe clean 80s dream of a new England…the flowers, the hearing aid, the militant vegetarianism, the celebrated celibacy. At last, we somehow thought, one of us. Morrissey on Band Aid: One can have great concern for the people of Ethiopia but it’s another thing to inflict daily torture on the people of England. 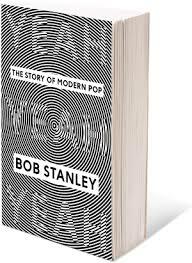 Bob Stanley on Band Aid and acts like Quo, Queen, Eric Clapton, Phil Collins: This was an enormous feel-ggod exercise one which has arguably done Africa more harm than good. It gave all of their careers and extra year or two’s grace as the public felt warmly towards their do-gooding. Stock Aitken and Waterman’s acts were everywhere from 1984-89. As a young kid (this is Southsea Bookworm ‘fessing up now!) at the time I was a huge fan of Kylie, Jason, Rick Astley, Mel & Kim and Bananarama but many criticised their pop machine as it turned out hit after hit. Pete Waterman: Music isn’t art, it’s for enjoyment, and anyone who says its art is in the wrong business. Bob Stanley on the rave scene’s descent into novelty: If Scooby Do had turned up on Top of the Pops with a dummy round his neck, nobody would’ve been surprised. 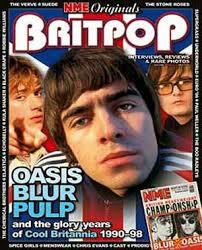 Britpop: It felt a long way from the vilification of rave; Britpop would prove to be the last time there was a consensus on pop music. Damien Hirst’s shark, the tart Scottish movie Trainspotting and Brett Anderson’s half-unbuttoned acrylic blouse all seemed peculiarly British and irreverent…once Britpop ruled the charts and Blair was in power, this would curdle and become jingoistic arrogance.